Our range of products include cloth surgical face mask, loop surgical face mask, hospital face mask, surgical disposable face mask and non woven surgical face mask. 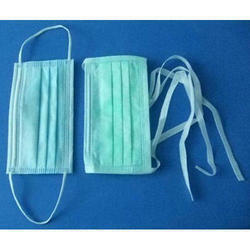 Backed by our dexterous team, we are the leading manufacturer and supplier of Cloth Surgical Face Mask. These are fabricated using PP Spun bond as basic raw material. This PP Spun bond fabric is light in weight. 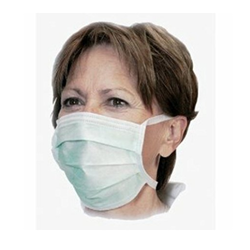 We are instrumental in offering a quality range of Loop Surgical Face Mask. The offered products are sourced from authentic vendors of the market. These masks are offered in three colors which are basically Green, blue & white. These masks are light weighted and at par with the international norms and standards. 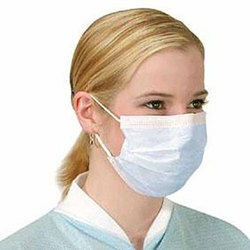 We are engaged in offering Hospital Face Mask. Our offered products are manufactured with using quality grade material and latest technology in adherence with industry norms and standards. Owing to its features, the offered product is widely used in numerous hospitals and health institutions. 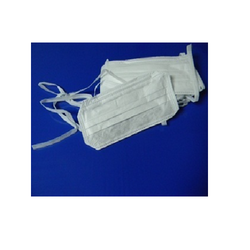 We are instrumental in involving Surgical Disposable Face Mask. Our offered face mask is used by surgeons and doctors for covering the face when any surgical process with a patient to avoid any infections. Owing to its safe and reliable working features, it is widely used in hospitals and medical research institutes. 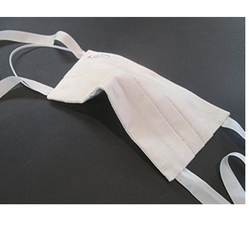 We offer Fabric Surgical Face Mask. This offered product is manufactured using high quality materials with advanced technology. Our offered product is thoroughly tested on various parameters by our expert quality controllers to ensure flawlessness. Moreover, our offered product is widely appreciated in the medical and surgical applications. Looking for Surgical Face Mask ?